Vertical Solitaire uses one deck (52 cards). You have 7 tableau piles with 6 cards in each pile (except fourth pile which is dealt 7 cards ). No two cards of the same rank can be dealt to the same pile. 9 cards from the reserve pile are available for play, to be paired with cards in the tableau. To discard all the cards in pairs of the same rank. 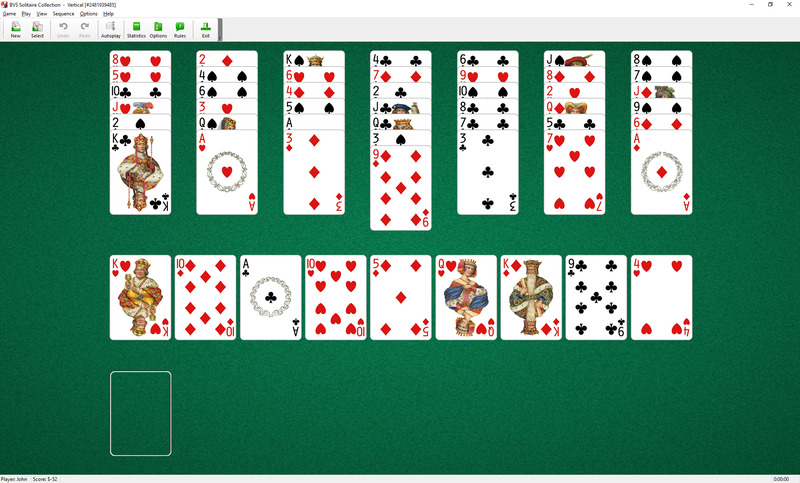 Select pairs of cards of the same rank by using the mouse. Only the top cards of piles are available to play. Spaces are not filled.